Merced Property and Casualty Company has announced that Kevin Lucke, CPCU, AIM, has been named President of MPCC, as part of the planned succession in anticipation of the retirement of Don Duran. Duran will continue to serve in his role as Chief Executive Offi cer through June of 2018, with Lucke overseeing the day-to-day operations of the company. Lucke joined Merced in July 2017 in the role of Executive Vice President. Prior to that, he was the Senior Vice President of Underwriting and Marketing at Sublimity Insurance Company, a sister company of MPCC, and a Senior Vice President at United Heritage Insurance, the parent company of both Merced and Sublimity. Lucke also has served on Merced’s Board of Directors since April of 2013. 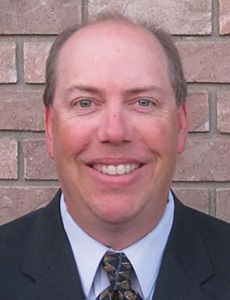 Lucke graduated in 1990 from George Fox College, now University, with a degree in Business/Economics. After graduating, he entered the insurance profession as an underwriter for Country Companies in Salem, Oregon. Throughout his 27-year insurance career, he has held numerous positions, including senior management positions in claims, underwriting and marketing. A native Oregonian, Lucke now resides in Turlock, with his wife Christine and their two children. 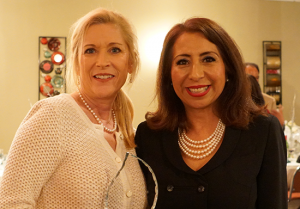 Community Hospice was named the 2017 Nonprofit of the Year by the Central Valley Hispanic Chamber of Commerce at the Chamber’s Annual Installation and Awards Dinner on Jan. 5. The Central Valley Hispanic Chamber of Commerce is a voluntary membership business organization working to further both Hispanic and non-Hispanic business and community interests in California’s Central Valley. Their efforts focus on encouraging and promoting beneficial business activities and business development services and advocacy. Oak Valley Community Bank, a wholly owned subsidiary of Oak Valley Bancorp announced the promotion of Laura Weaver to Vice President, Area Manager. Weaver joined Oak Valley in 2005 and has over 17 years of total banking experience. During her time with the bank, she has held several key branch management roles including Assistant Customer Service Manager in Modesto, Customer Service Manager in Oakdale, and most recently Branch Manager in Escalon. 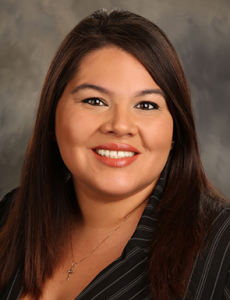 As Area Manager, she will continue to manage the Escalon Branch, as well as provide support to the business development and growth initiatives of the Manteca and Ripon Branches. “Laura’s experience and management skills have enabled her to successfully develop and maintain many strong business relationships. As Area Manager, she will have the opportunity to support Branch Managers in the surrounding San Joaquin County communities and focus our collaborative efforts on the ongoing growth of the bank,” stated Julie DeHart, Senior Vice President, Retail Banking Group. Oak Valley Bancorp operates Oak Valley Community Bank & Eastern Sierra Community Bank, through which it offers a variety of loan and deposit products to individuals and small businesses. They currently operate through 16 conveniently located branches: Oakdale, Turlock, Stockton, Patterson, Ripon, Escalon, Manteca, Tracy, two branches in Sonora, three branches in Modesto, a loan production office in Downtown Sacramento, and three branches in their Eastern Sierra Division, including Bridgeport, Mammoth Lakes and Bishop. Jill Cunningham has been named the new Director of Advancement and Public Relations/Executive Director for the Merced College Foundation. She was confirmed in the position by the Merced College Board of Trustees on Jan. 23. “As I progressed through my career I started to realize what was important and who was important,” Cunningham said. “I decided what’s important to me is this community. The community of Merced County has meant so much to my trajectory, and a big part of that was my time at Merced College. Cunningham grew up in Merced County and attended Merced College before transferring to American University in Washington D.C., where she earned a Bachelor of Arts degree in communications with an emphasis on public relations and strategic communications. She returns to the College with more than 15 years of experience in marketing, public relations, communications and fundraising. Cunningham spent the last year serving as the campaign manager for Congressman Jim Costa. Before that, Cunningham worked four years as the Director of Business Development at KTS Associates Leadership Consulting in San Francisco, where she helped bring in thousands of dollars in new contracts. 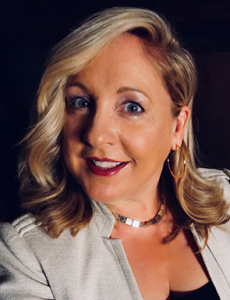 She simultaneously served as a board member for a number of Bay Area organizations over the last few years as well as a consultant in both public relations and fundraising sectors. “I am thrilled to welcome Jill back to Merced College and Merced County,” Merced College Superintendent/President Chris Vitelli said. “She is the right person for this job and will bring renewed vigor and energy to our public relations and fundraising efforts. The Association of Fundraising Professionals Yosemite Chapter began 2018 by naming awardees for the chapter’s annual Diversity Scholarship and its 2018 Board Members. The purpose of the Yosemite Chapter AFP Diversity Scholarship is to provide memberships for development officers in not-for-profit organizations in Stanislaus, Tuolumne, Amador, Calaveras, San Joaquin, and Merced Counties. Each scholarship will provide recipients with an Introductory AFP International membership and an AFP Yosemite Chapter membership. Diversity Scholarship Recipients are: DeAsia Strong, Corporate Sponsorship and Special Event Coordinator, Gallo Center for the Arts; Rochele Roura-Foster, Fundraising/Marketing Program Manager, LearningQuest — Stanislaus Literacy Centers; Diana Gonzalez, Development Specialist, Center for Human Services. In-Shape Health Clubs, California’s top destination for fitness and recreation, announced today as part of its fitness innovation strategy, that it hired industry leader, Doris Thews as vice president of group fitness, innovation and motivation signaling a renewed focus on advancing its fitness offerings. Thews, a decorated fitness industry expert, will lead In-Shape’s group fitness team made up of over 1,100 instructors, group fitness managers and directors. Thews will also develop strategy for future fitness products, programs and experience. In this newly created role, Thews will create training and signature programming and use her talent for motivating to energize her team to deliver best in class group fitness experiences. “In-Shape is constantly evolving to offer members a fitness experience they can’t get anywhere else, at an incredible value. 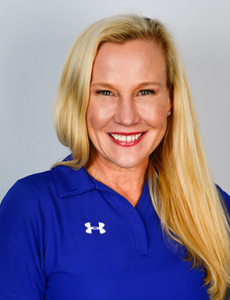 We’re thrilled to have Doris leading our team of inspired group fitness instructors, creating new programs and fitness experiences, and bringing her incredible energy and personality to the leadership team,” said In-Shape CEO, Rich Nelsen. “We offer over 3,000 group fitness classes a week throughout our Californian locations. With Ms. Thews leading the charge, we can elevate our group fitness experience with new work out programs which will not only be unique to In-Shape, but in our markets as well,” Nelsen finished. In the fitness industry for over 30 years, Thews was a divisional director for 24 Hour Fitness and ran her own fitness consulting business prior to joining In-Shape. She is an award winning, fitness educator and international master trainer for ShockWave, Indo-Row, Schwinn, and Bosu. She’s a Lead Ryka Fit Pro Brand Ambassador and a Power Music Advisory Board Member and in 2017 was a finalist for IDEA Fitness Instructor of the Year and won Empower Fitness Conference Presenter of the Year.